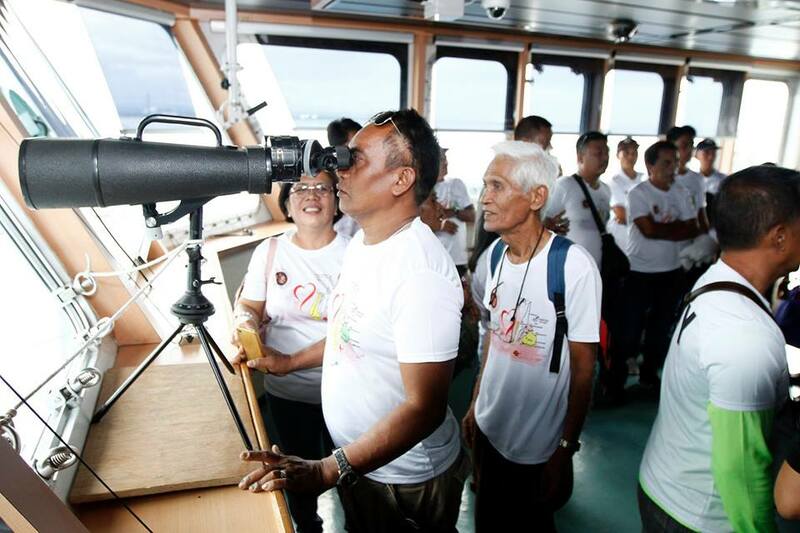 Fishersherfolk leaders belonging to Tañon Strait Fisherfolks Federation (TSFF) were treated with a grand tour of the Barko ng Republika ng Pilipinas (BRP)Tarlac after a dialogue was held inside this modern navy ship. Close to a hundred fisherfolk leaders, fishery technicians, maritime law enforcement officials and navy personnel engaged themselves into a lively discussion on fishery issues and ways of combating illegal commercial fishing inside Tanon Strait Protected Seascape (TSPS) last December 12, 2018. The activity also served as an assessment of the results of a one-month intensive joint fishery law enforcement operation called OPLAN ALON conducted in October 2018 and was participated in by the Philippine Navy, Philippine Coast Guard, Philippine National Police and the Bureau of Fisheries and Aquatic Resources. The dialogue was spearheaded by the Naval Forces Central and facilitated by Oceana Philippines. It was held inside the wardroom of BRP Tarlac (LD 601), the largest vessel of the Philippine navy.